When I visited Prague back in 2012, I paid a visit to one of the city’s most revered sights — the Astronomical Clock. The clock was created in 1410 and for centuries was considered a technological marvel. Prague is a city of many legends and one story claims that when the Astronomical Clock was finished being made, the city councillors were so impressed with it that they did not want the clockmaster to create an identical clock for another city. So, that night they had the clockmaster blinded. In turn, the clockmaster managed to fumble his way back to the clock and break it. This damage led to it not working for a hundred years. 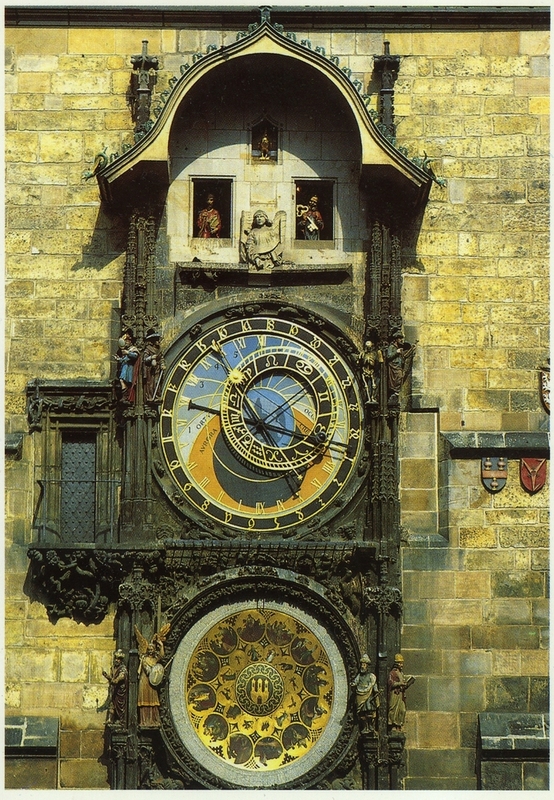 Whatever, the legend – the clock in Prague is the oldest working astronomical clock in the world. It is mounted on the Old Town Hall, where today it is a constant attraction for visitors. Large crowds of tourists gather around the clock every hour to watch the mechanical show that occurs. Essentially, the figurines move and “dance” when the clock strikes the hour. However, the locals seem to be less than impressed with the show. I was told that Praguers like to watch the tourists from the other side of the square and see the looks of disappointment and anticlimactic realization of those watching the show. What was considered a wonder of the world during the Middle Ages doesn’t hold up to modern day standards. < Two Countries, Two Weeks — One Carry-On Bag!